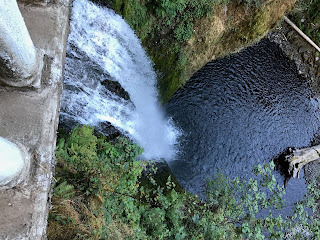 Musings from a vegan nurse practitioner living in semi-rural Oregon. Information provided here should not be taken for medical advice as each person is unique. Every time I feel like it's been an extra trying time in American politics over the last couple of years, it does a really good job of outdoing itself. This week has been no exception. It's a very challenging time to be a woman, a sexual assault survivor, a person of color, or even just a person with basic decency and compassion. I hope you are doing whatever you need to do to take care of yourself right now. Being exhausted and emotionally drained, I decided to have a simple dinner last night. A sandwich with one of those pretzel buns I bought recently at Food Fight. I am so happy these aren't super salty like the ones I tried a couple years ago. A good sandwich is a comfort. We grew up eating them. 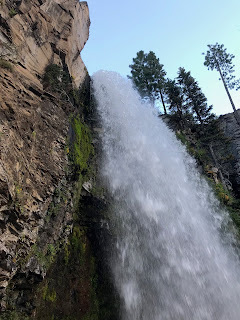 They are portable and can feed us on our travels, while hiking, kayaking or such. And a well crafted sandwich is delicious. I am a big fan of Tofurky vegan deli slices. Hickory smoked, original, peppercorn - I like them all! Tofurky is actually made in Oregon not far from Portland. They are a great company and I see a lot of their donated items and coupons at events. They also sponsor an annual Tofurky Trot fundraiser in Portland on Thanksgiving. This year's recipients are: Northwest VEG, Wildwood Farm Sanctuary, Out to Pasture Sanctuary, Lighthouse Farm Sanctuary, and Green Acres Farm Sanctuary. I volunteered last year and it was fun! I think I might sign up to walk/wog it this year. Looks like there is also one in LA the Saturday after Tofurky Day. Did you notice the Tofurky shortage last summer? That's because of the wildfires that were near the factory. The shelves got pretty bare around here for a bit. 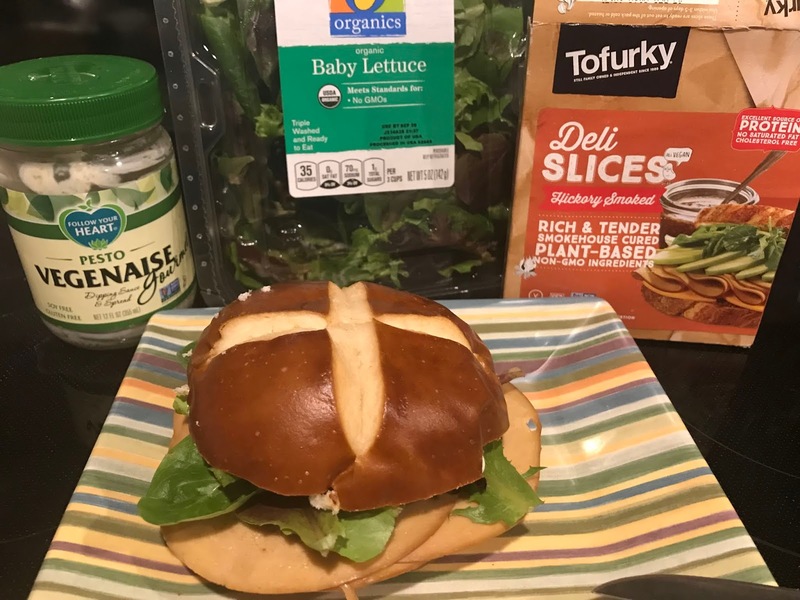 Pesto Veganaise, hickory slices, baby greens, pretzel bun. 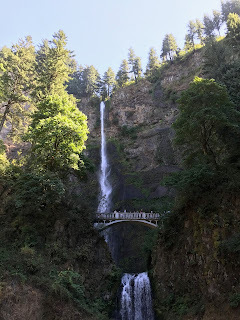 Not far from the Tofurky factory is Multnomah Falls which is one of (or the?) 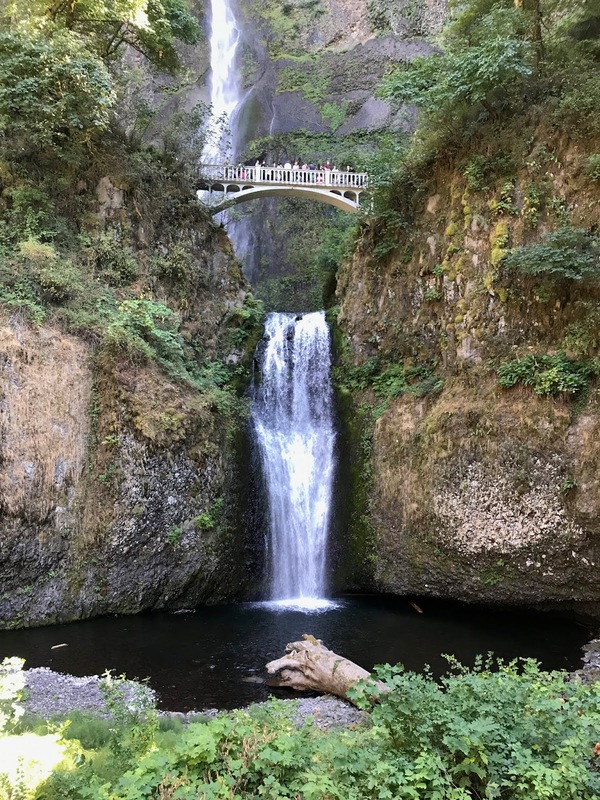 most famous falls in Oregon. Maybe because it's so accessible? 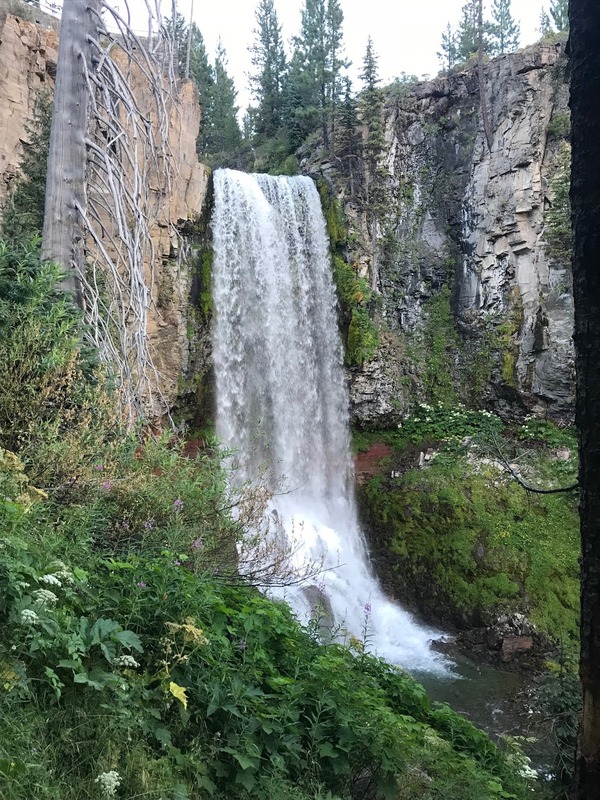 You can actually see it from the parking lot if you aren't up for walking/hiking. The fires last year came very close to the falls (basically fires were right at the falls) and the historic building there, but the firefighters managed to keep this landmark safe. Thank you, firefighters! 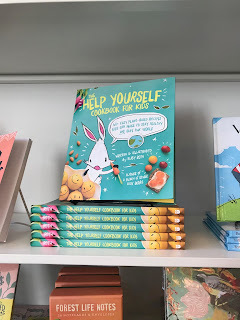 Earlier in the month I shared my easy tofu method which I love to have on salads. Even though some people seem to think all vegans eat are salads, it's still ok to love a salad. Kind of like how I didn't want to become a nurse because I didn't want to do any traditionally female jobs. Then I realized as a feminist I can do whatever job I want! So enjoy your salad! The key to a great salad is a variety of fresh ingredients - and a tasty dressing! I keep a couple store-bought dressings on hand, but prefer the taste of the ones I make from scratch. They are super easy as well - provided you have a blender. I've really come around to fruity salad dressing. I started off as more of a ranch girl. 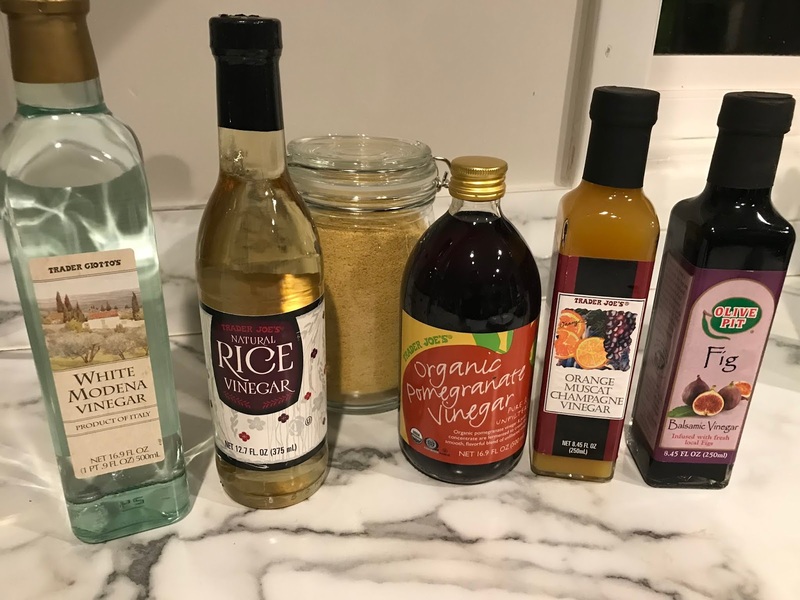 Start with a tasty vinegar, some juice like orange or pomegranate and add in some soaked cashews or hemp seeds to make it a little creamy. One of my favorite dressing is about a cup of pomegranate juice, handful of cashews, 1tbsp to 1/4 cup of berry vinegar and enough blueberries to thicken it up. So fresh! If you want to get a little fancier (and need actual measurements) you can't go wrong with the Orange Peanut Dressing from Dr Fuhrman. He has written several books and works with patients to reverse and manage chronic diseases like diabetes. I highly recommend his book Eat to Live and it has a meal plan and recipes in it. Of course if you have medical conditions and/or take medications, consult with your healthcare provider when making big lifestyle changes. Your medications may need to be adjusted - down! This recipe is excellent on kale chips! Wash and spin your kale and tear it into bite size pieces. Then mix the dressing onto it evenly. Either dehydrate or bake at low temperature until dry and lightly browned (if cooking in oven). It's also wonderful as a dip for salad rolls. Part of my vinegar collection - and big jar of nooch. 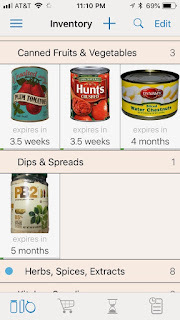 Do you have a can't miss dressing recipe? Or a favorite vinegar? As you can see, I buy a lot of mine at Trader Joe's. They really should be sponsoring this blog! Tumalo Falls in Bend, 97 feet high. 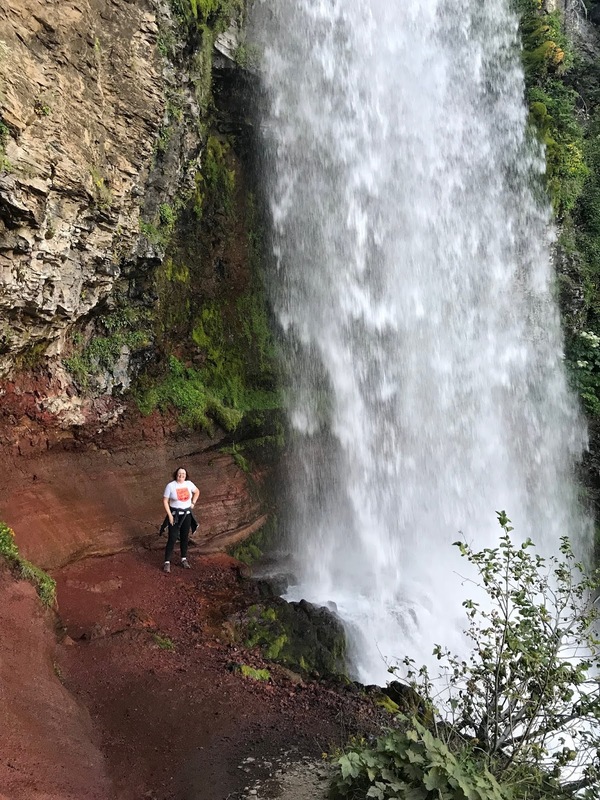 Oregon is an amazing state. 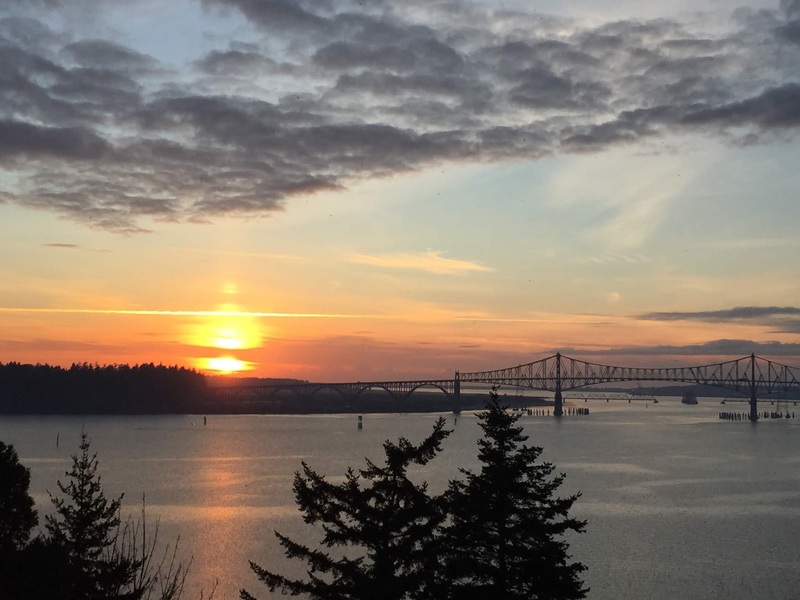 Portland gets the most accolades, but the whole state has so much to offer. We have high desert, rocky coasts, mountains, painted hills, and more hiking and waterfalls than I think you could see in your lifetime. The first two years I lived in Oregon I lived in Coos Bay. This is a small town which borders North Bend - another small town. You can barely tell when you cross from one town to the other. All told they have roughly 25k residents. It used to be a big logging and fishing town, but the economy has dropped off in both those areas. 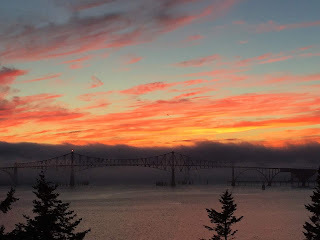 But if you find yourself in Oregon with time to drive 4 hours away from Portland, I highly recommend a visit to the South coast including Coos Bay. Better yet, make a weekend out of it and drive down the 101. Simpson Reef - saw orca the first time I went here! In addition to the beautiful scenery, you will find a surprise - a vegan restaurant! 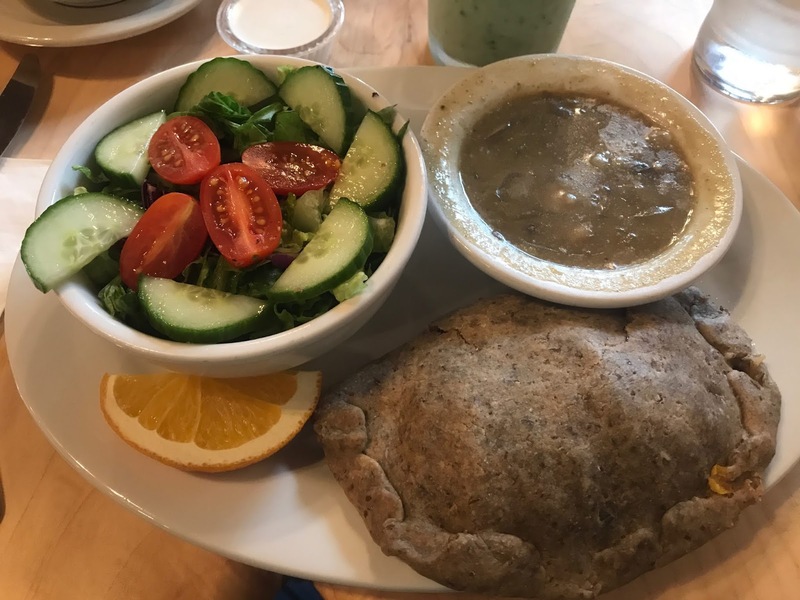 Originally opened in Coos Bay, but about a year later The Tin Thistle Cafe relocated to North Bend (to me they should pool their resources and be one town). The atmosphere is lovely and the food is tasty! And it's all vegan and made with love by owner and chef Paula. 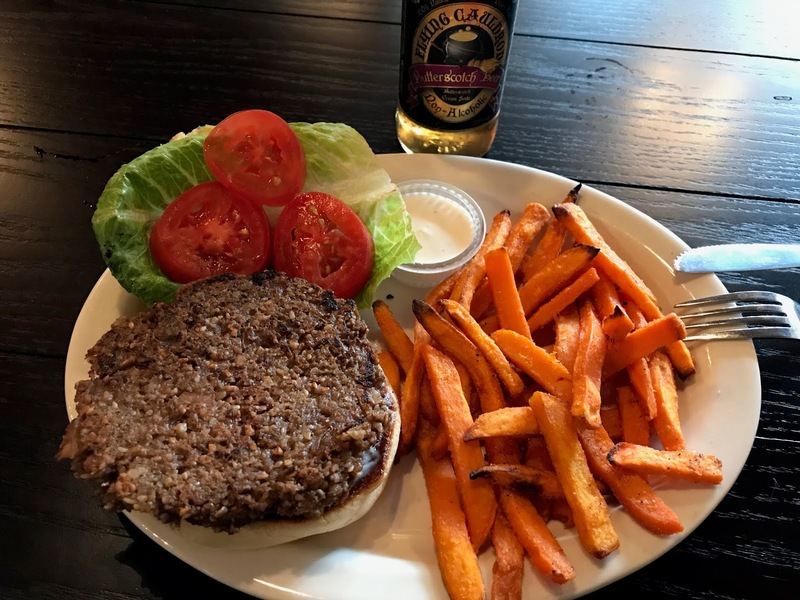 Open Tues-Sat from 11-4 it's a great lunch spot. I used to get take out all the time when I lived there. Now I make it a point to swing by when I'm in town. The food is fresh and the desserts are made from scratch. Pie anyone? I usually have either the housemate veggie burger or a pasty (pass - tee). This is a savory pastry pocket with different fillings tucked in. So yummy! Vegan burger w/sweet potato fries. 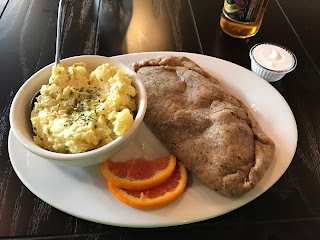 Pasty w/side of potato salad. 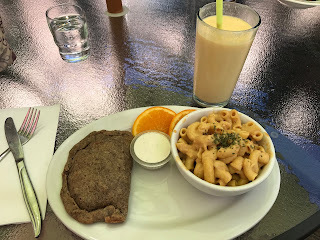 Pasty w/side of mac uncheese and mango lassi. 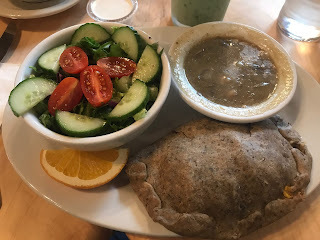 Pasty w/gravy and green salad w/ranch. I don't know why I don't have any pie pics! Sorry I can't taunt you with them! When I eat out I like to have dishes I wouldn't normally have at home. Pasties definitely fit the bill! 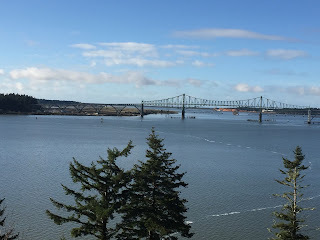 My apartment in Coos Bay had the most amazing view of the bay and the McCoullough Bridge. One weekend the tall ships (think Black Pearl from Pirates of the Caribbean) were in town and I got to watch the ships maneuver complete with cannon fire! 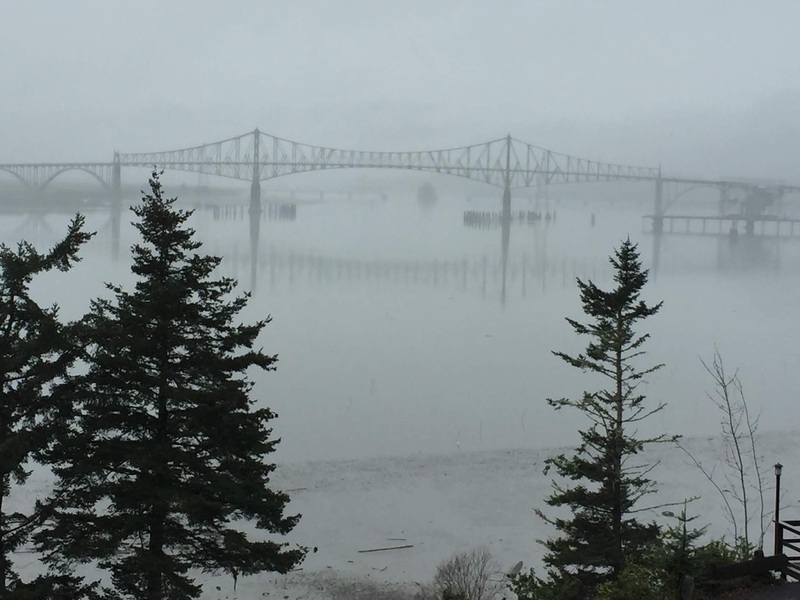 Hard to imagine what it was like before the bridge when people had to take the ferry. 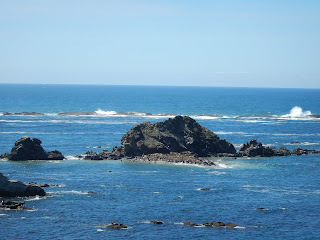 I leave you with some pics of my former view. 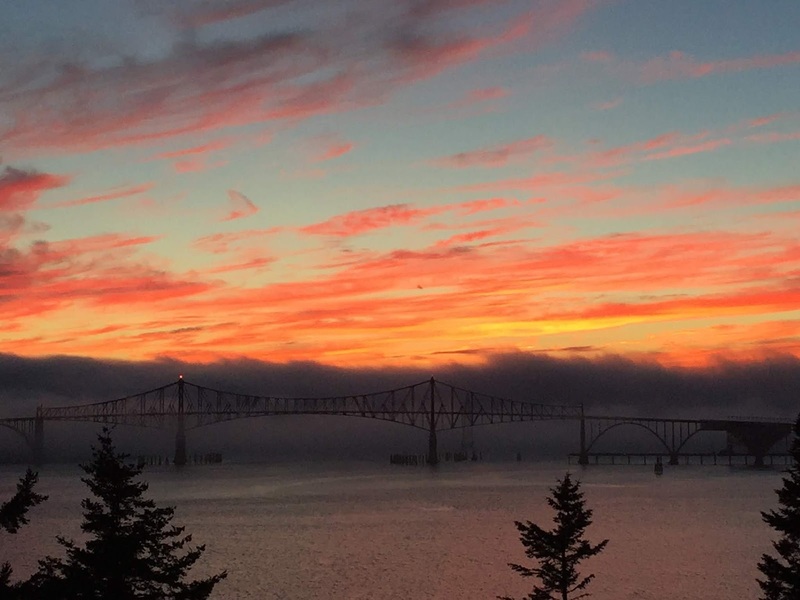 Sunset with low fog rolling in. No filter. Smoothies are one of my favorite things. Most days I have one for breakfast. Usually it is chock full of greens and then a couple handfuls of fruit. It's an easy way to start the day with some nutrition. By doing that I start my day with more fruit and veg than the average American eats all day! 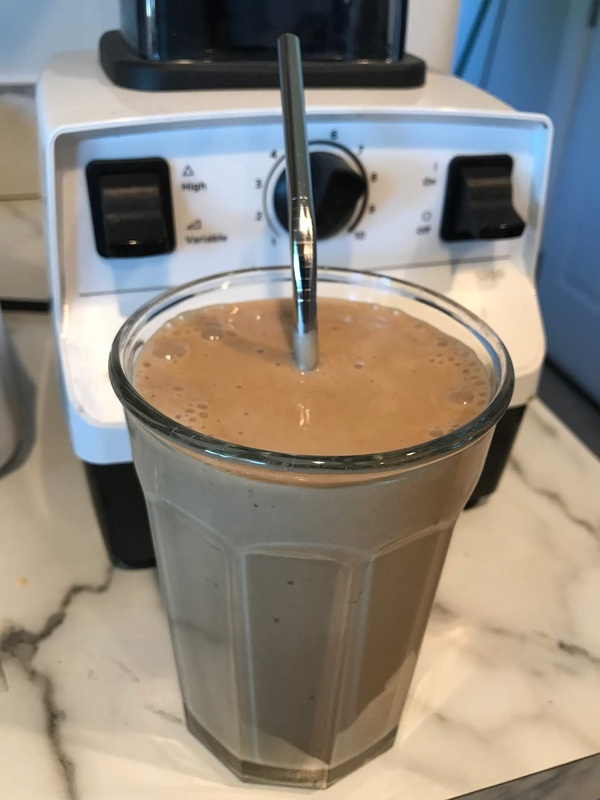 There are some plant based physicians who eschew smoothies given that they are sort of pre-digested and the body can easily convert them into sugar. I do caution those with blood sugar issues to focus on veg and only a small amount of fruit in theirs to make it palatable. If you haven't added greens to your smoothie before then I suggest starting with just a handful or two of baby spinach. This is a mild, forgiving green. As you get used to it you can add more or add stronger greens such as Swiss chard, kale, Romaine lettuce, etc. Banana, mango, or other sweet fruit add sweetness. Berries are a nice low sugar addition. Today I was feeling more decadent though and had a smoothie without greens. One of my faves - banana, peanut butter, and cocoa. Smoothie maker - and sauces, soups, etc. You don't need a high speed blender, but it is a nice perk. I waited years before buying one and after I did I regretted not getting one sooner. Worth the money if you like to make sauces, soups, dressings and such. 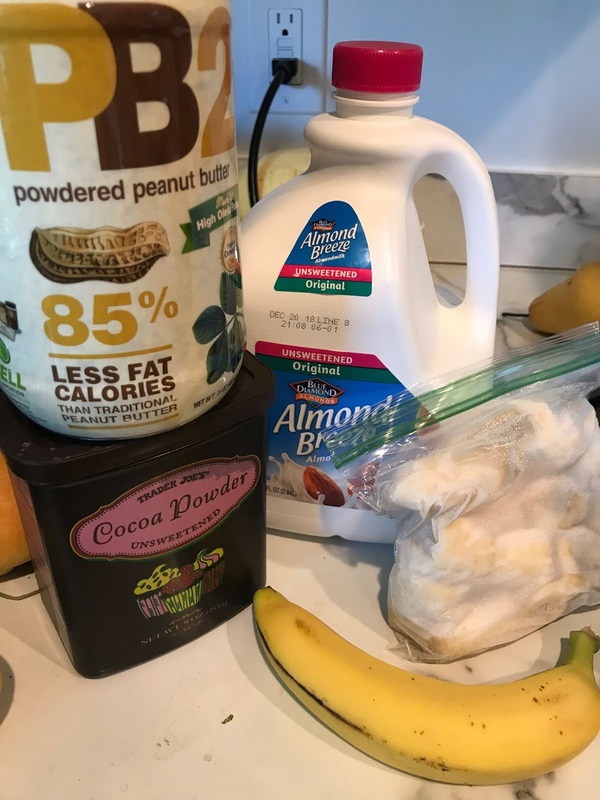 Regular banana, some chopped frozen bananas, nondairy milk, cocoa powder, peanut butter. Or as I've used here, some defatted peanut butter powder. I used 2 heaping tablespoons, 1 scant tablespoon cocoa powder, and enough milk to get the blender moving. Ta da! With reusable straw to boot. Another favorite combo of mine is banana, apple, half a lime, and water. It tastes like a limeade! What are your favorite combos? 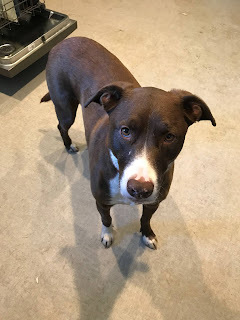 Hazel says - where's mine??? It's already the last week of vegan mofo? How is it possible??? It's been an interesting month and I'm glad I've finally done this after thinking about it for so long. Maybe I'll do it again next year and follow the suggested themes? Maybe! Today I thought I'd share some apps I like. No, not appetizers. 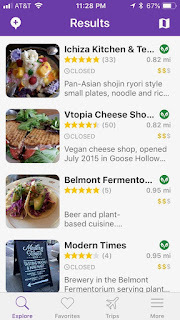 Useful smartphone apps for vegans...or anyone really. Only one is veg specific. Food waste is a terrible problem in our country. Some estimates are that 40% of food is actually thrown away and not eaten. This wastes tons of money and resources. 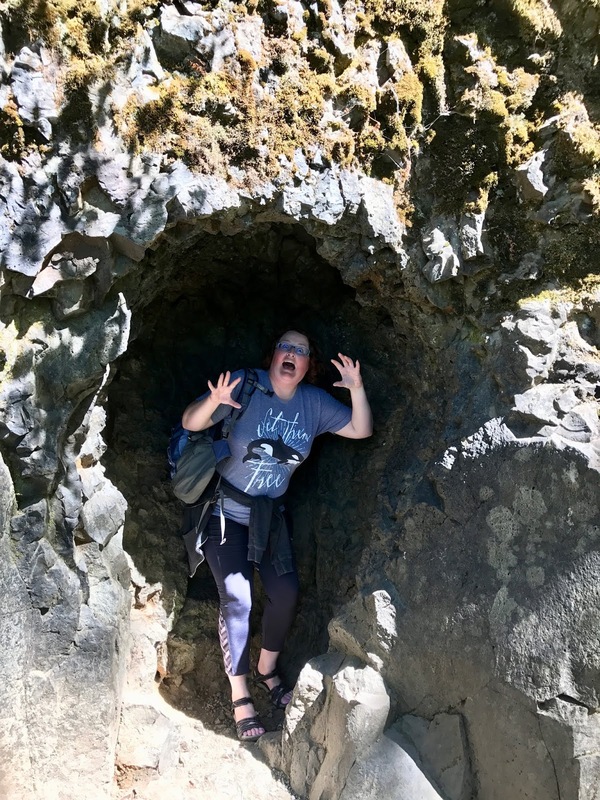 I think we've all been guilty at some point of forgetting about something in the back of the fridge or pantry that then goes bad. I recently started looking for apps to help me keep track. 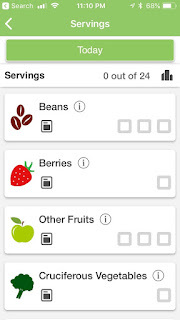 I downloaded the free versions of Fridge Pal and Pantry Check. 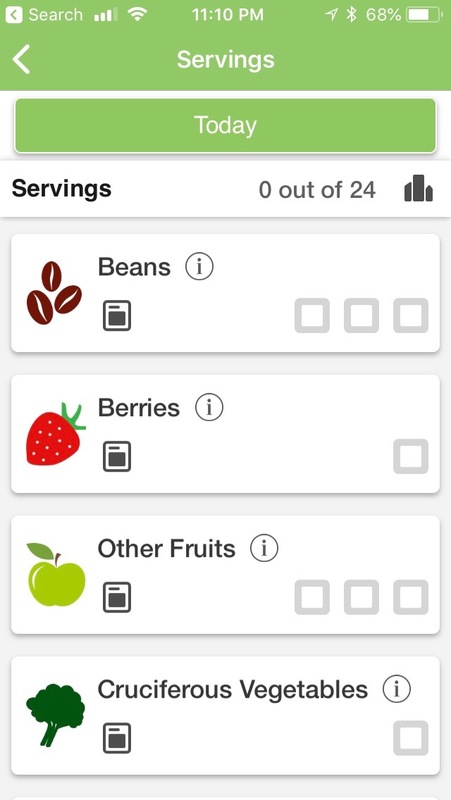 I scanned a bunch of the same food items with each app. 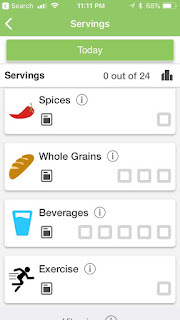 Pantry Check was hands down better at identifying the food items I scanned. 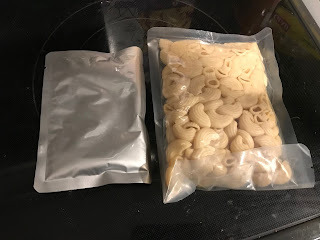 This included some bean pasta, teas, peanut butter powder, and other items. 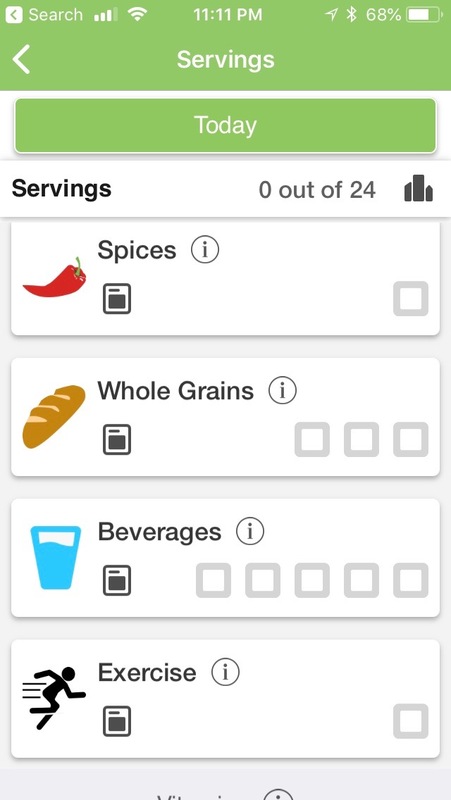 I'm still playing with it and haven't scanned my whole pantry yet, but so far I'm liking it. I am now getting notifications from my pantry (sort of) telling me a particular item expires in a month or so. 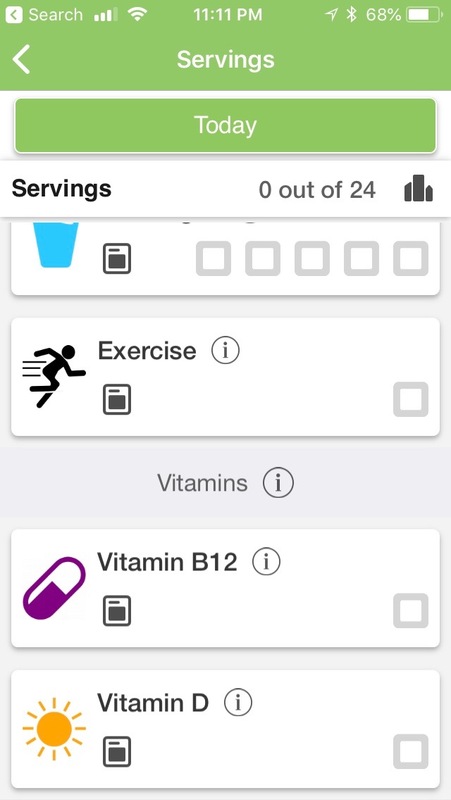 Have you used an app like this? Any you like? 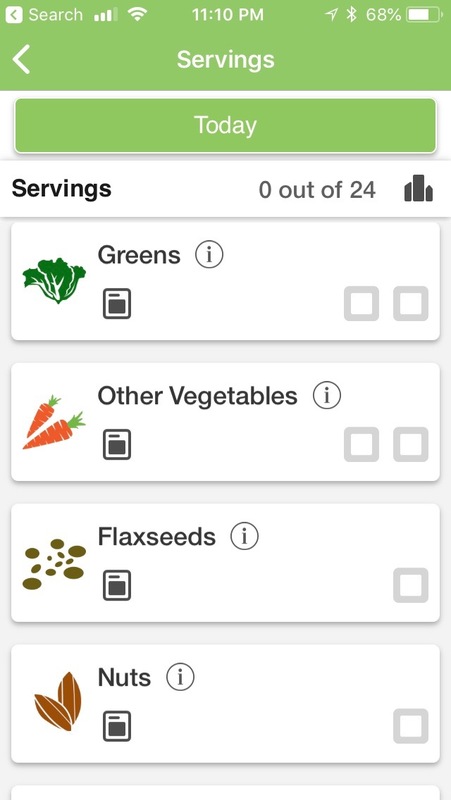 Another app I am trying to get back into using is Dr. Greger's Daily Dozen. Dr. Greger brings us the website nutrition facts.org and his book How Not to Die. 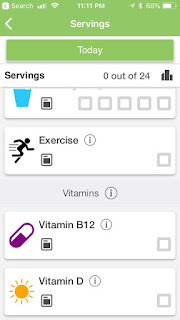 His app condenses that information and helps you focus on at least the basics. 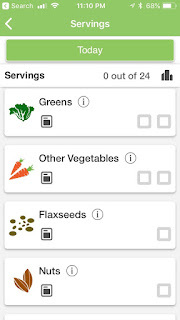 You check off during the day when you have a serving of beans, water, or cruciferous veggies for example. When you check off everything you don't win a prize - unless you count taking steps toward your best health as a prize! 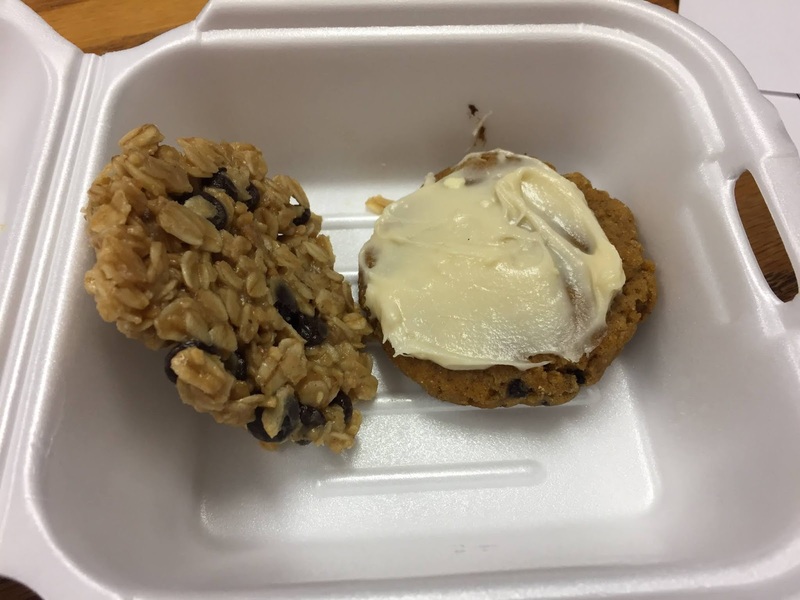 Sure, eat some soy ice cream or a vegan donut, but try to get these healthy foods in also! Clicking on the little i takes you to his website and the evidence for the recommendations. Lastly one of my most trusted apps - Happy Cow! 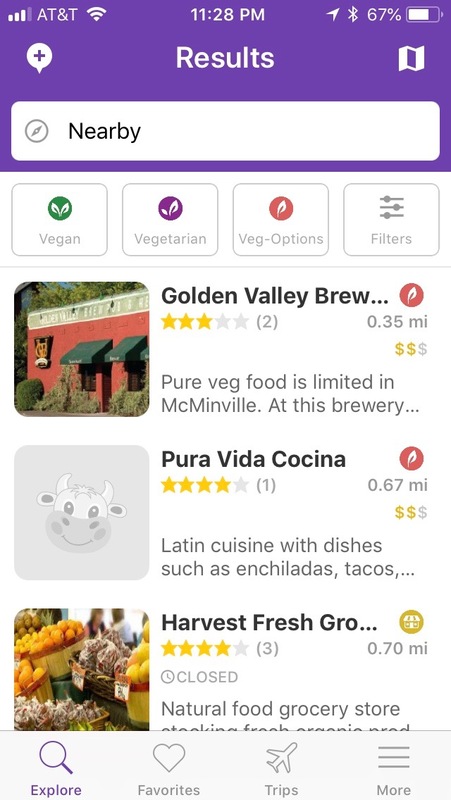 I have used this all over the US to find me tasty vegan food. Even in unlikely places! 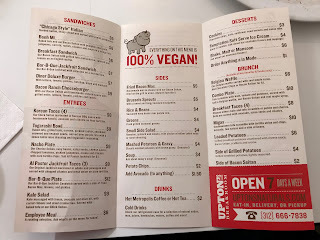 When I moved to Oregon I drove from NC up to Ohio and then across on I-80 through states like Wyoming and Nebraska that are not exactly vegan meccas. 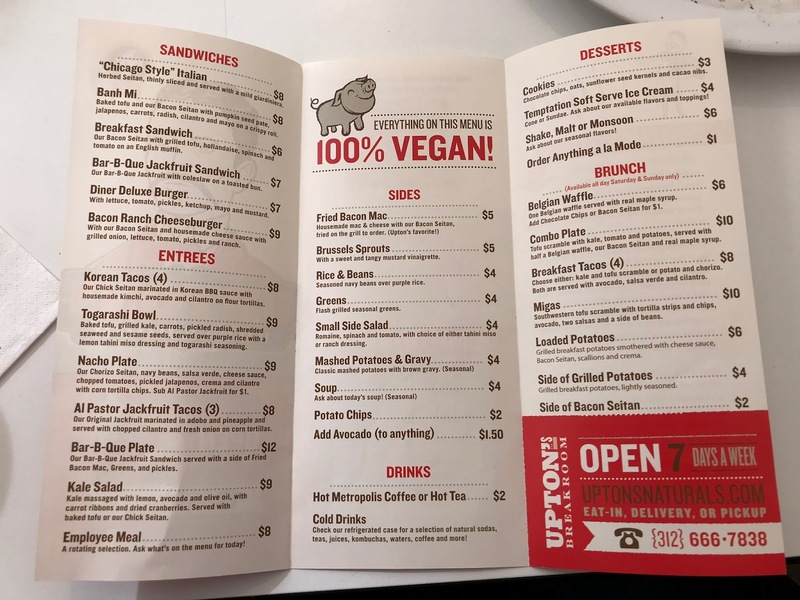 I found a vegetarian restaurant in Wyoming and a raw, vegan restaurant in Nebraska! I didn't always find a plethora of options, but I always found some. This user driven website and app is terrific. And you can add your finds and reviews to it to help out others. Happy Cow is one of my best friends! Veg options in my little town. 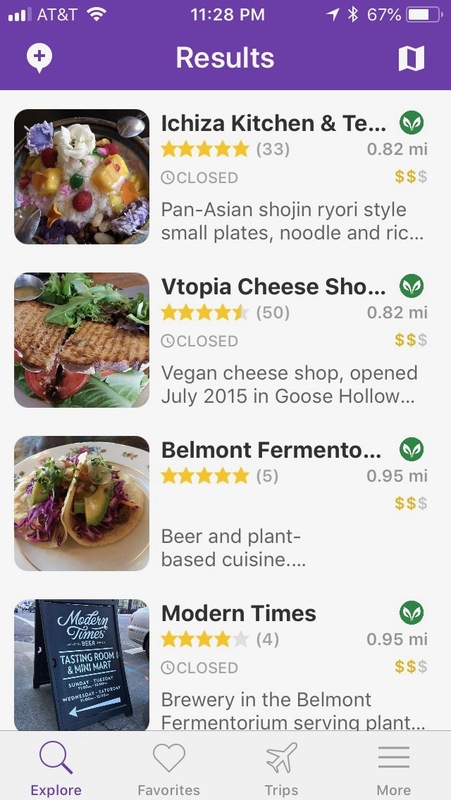 Pages of options in nearby Portland. I love it when technology makes our lives easier. And makes us healthier and happier (and well fed!) vegans! 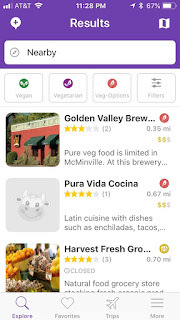 What apps do you rely on in your vegan life? 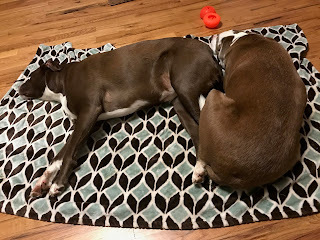 Today's post is more of a review. 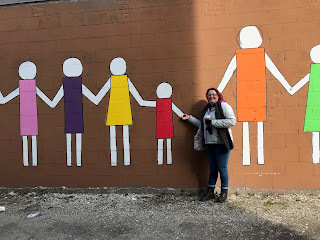 In March I met my friend Cherry in Chicago for a long weekend trip to see Pink. 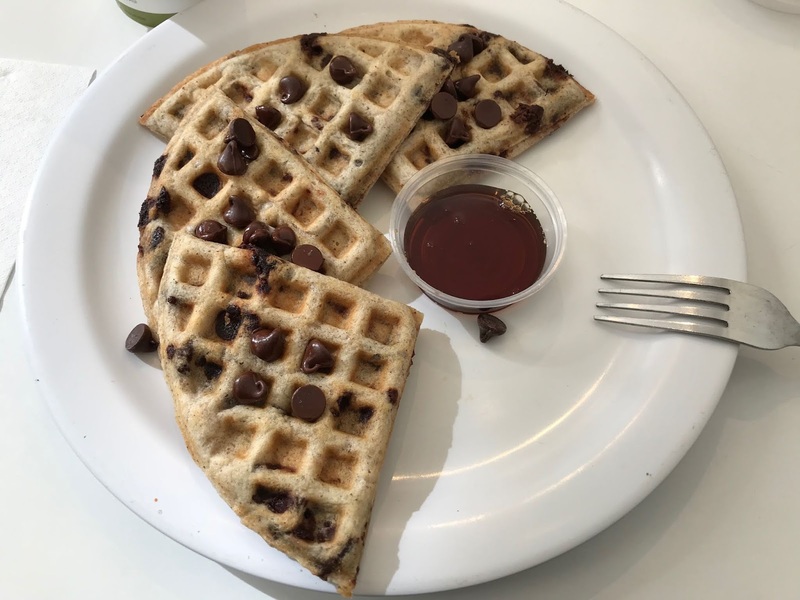 Chicago has many wonderful vegan options and we ate our way through many! One of our faves was Upton's Breakroom. Upton's makes things like yummy seitan bacon and packaged jackfruit dishes. The Breakroom is a small cafe at the factory. We ate there for brunch and then for dinner. 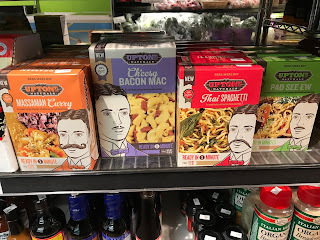 While walking around town we went into a natural foods store and saw some Upton's packaged items I hadn't seen before. One of them being a cheesy bacon mac. I vowed to someday try this tempting dish! Yes, I took at pic. Yesterday was that day! The mac comes basically prepared and you just have to add the two pouches together and heat it up. It took me about 4 minutes. 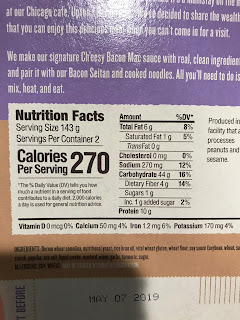 One thing that I really like is that it has the same number of calories as it has sodium. 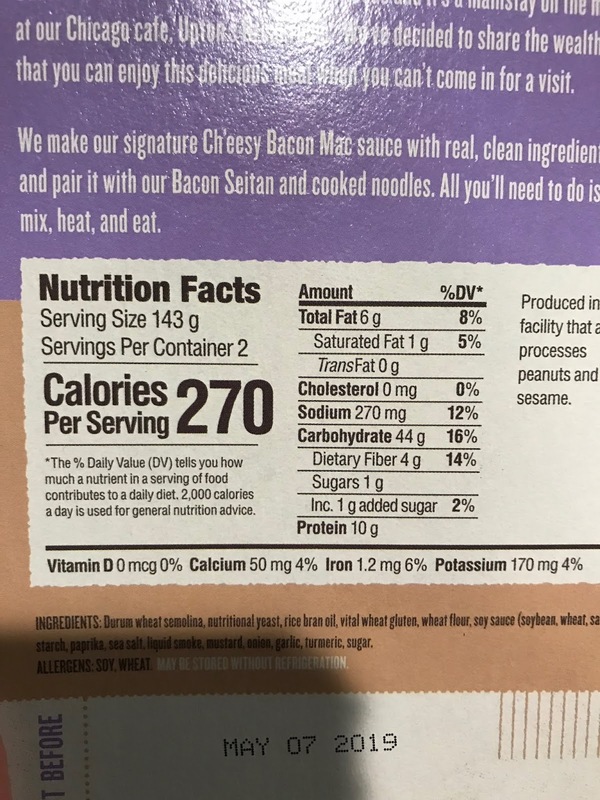 A good rule of thumb for not overdoing sodium is to have it match or be less than the calories in a dish. So this passes that test! While I didn't find it amazing, it was easy and tasty. I would take it camping for sure as it was so quick cooking. This won't be a regular part of my rotation, but this kind of thing isn't anyway. Have you tried it? Or any of Upton's other items? How is it day 20 already?? This month is flying by and Autumn is almost officially here. 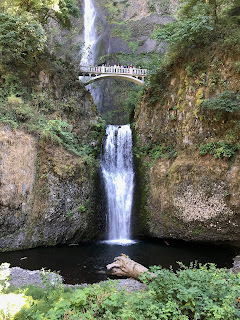 The weather in my part of Oregon really feels like fall and that puts me in the mood for soup! And what could be better than a minimal effort tasty tomato bisque? I can't remember who I got the basis for this recipe from in order to credit them. It was someone I know online, not a book or a blog. I think maybe from Dr Fuhrman's group. I am sorry. Whoever you are - if it's you let me know and I'll give you proper credit! Everything about this recipe is very forgiving. I rarely measure anything in it. 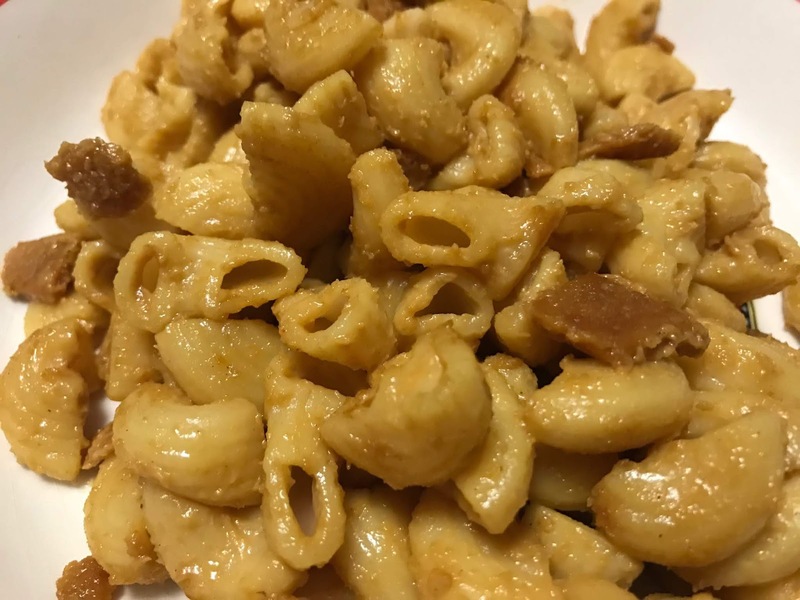 Use 1/2 cup cashews or use 1 cup. Or 1/4 a cup. It will still taste good! You decide how creamy and how thick you want the soup. Add a little vodka and put it on pasta and now you have a vodka sauce. Really, you can't do this recipe wrong. But here are the general directions: Soak the cashews in enough water to cover them. How long? I usually do either 20 minutes or maybe a couple hours if I've started doing other things and forgotten about them. If you're having an emergency soup need, skip the soaking. Dump the cashew water, then puree the cashews with 1/2 to 1 cup water in your high powered Vita-mix. Don't have one of those? But I thought you were vegan? Just kidding! 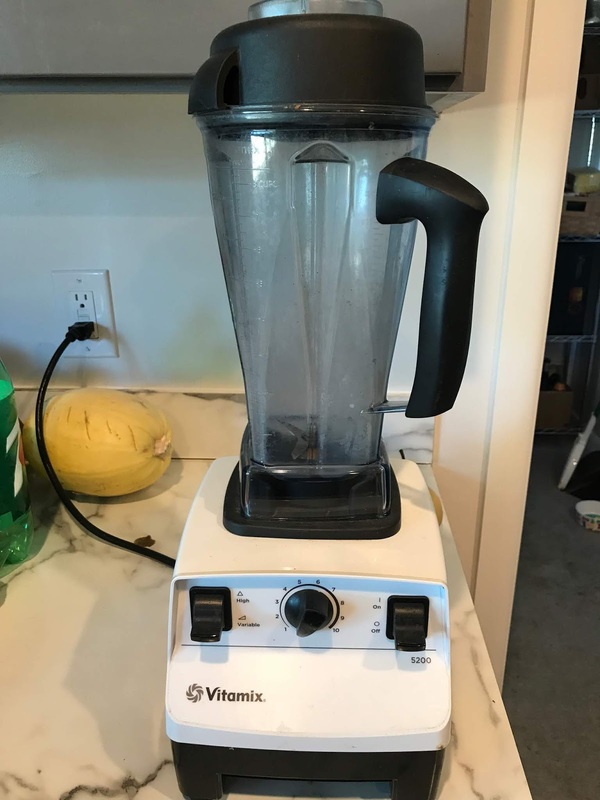 A regular blender will be fine especially if you did the soaking. Once the cashews are well blended, pour in the jar of tomato sauce (or only pour in half and reserve the rest until the end to make it more chunky). Also add a big handful or two of fresh basil or 1 to 12 teaspoons of dried basil. You have all the power in how much basil! Keep adding until it tastes good to you. I like a lot of basil! But I am joking about the 12 teaspoons. That's probably too much! Your soup probably needs a bit more water. Or not - you decide! I add water to the mostly empty sauce jar to rinse it and get the rest of the sauce in the blender. This also gets you ready to reuse or recycle your jar. Go you! Now give your soup a last little blend. Only briefly if you want it a little chunky. Or go for smooth and run the blender until it heats your soup - if you've got one of those expensive, fancy pants blenders. If not, transfer your soup to the stove or microwave and heat until it's warm/hot. There it is! Have you ever heard of an easier vegan soup recipe? I mean, really. Have you? I'd like to hear about it! 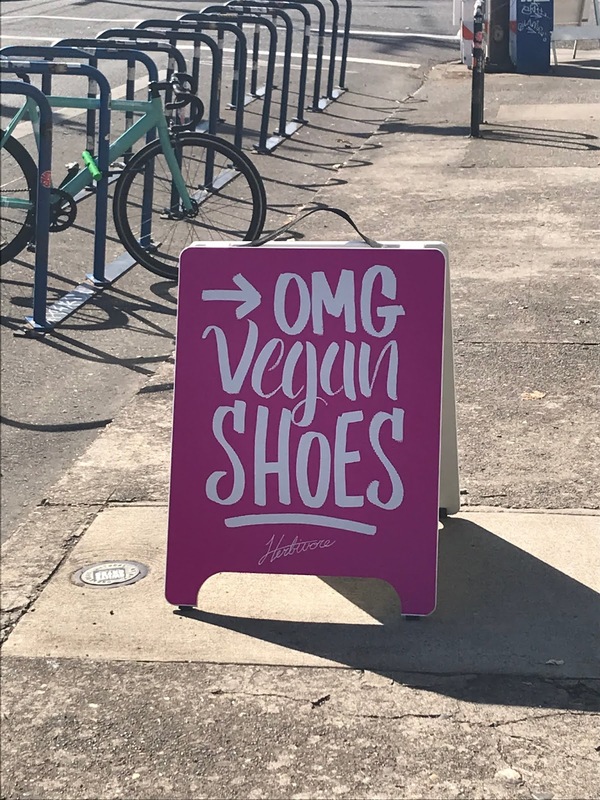 Portland, Oregon is a vegan mecca. Everyone knows it. 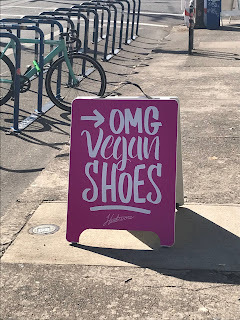 But did you know Portland has a vegan mini-mall? Have you ever imagined what it would be like if vegans took over a block? 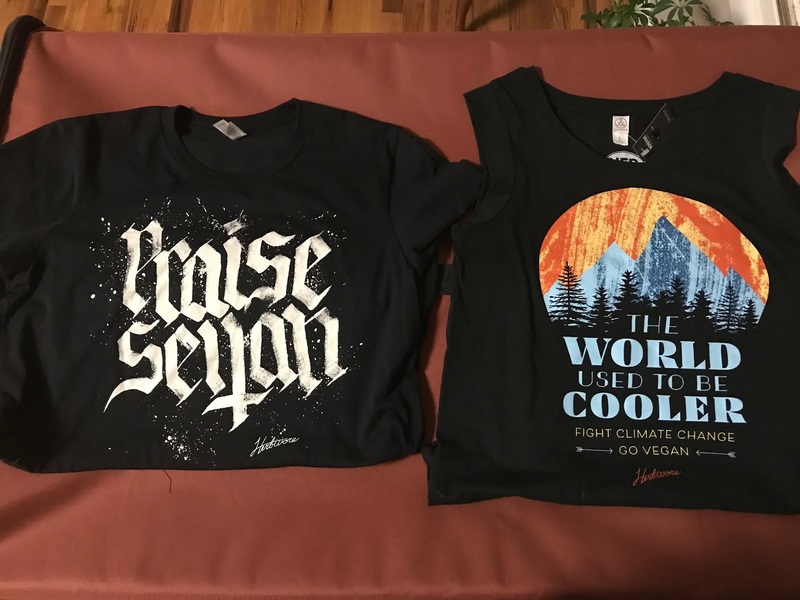 A magical place where you could buy cool vegan clothing and accessories. 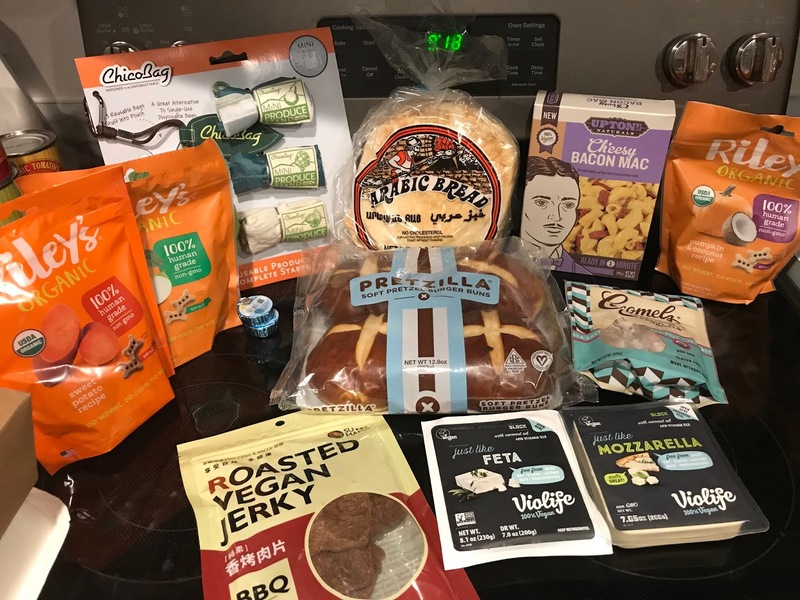 Then pop in to the vegan grocery store to purchase the latest nondairy cheeses and tasty snacks. Feeling peckish? 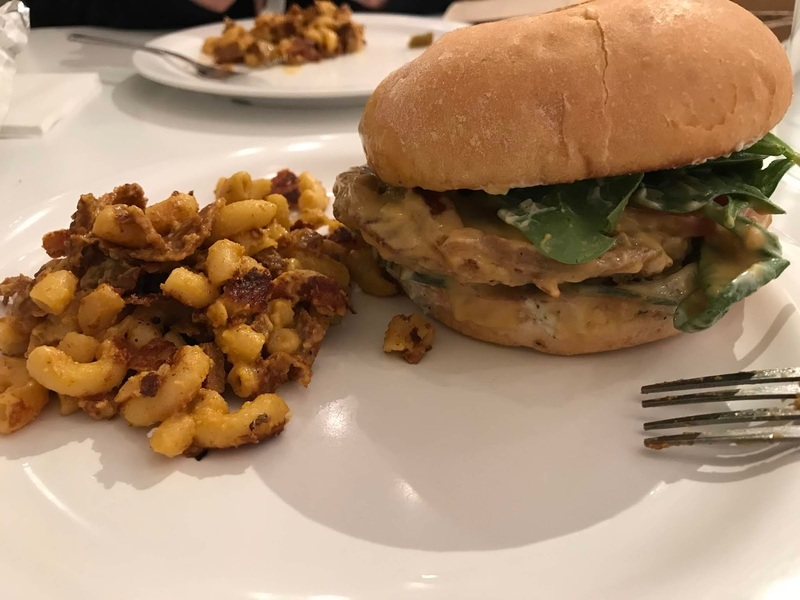 Then stop into Sweetpea Baking for a cup of joe (or chai) and a tempeh BLT. Finally last stop - memorialize your outing with a vegan tattoo at Scapegoat. Didn't realize not all tattoos are vegan? It's true! 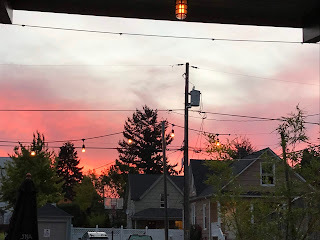 I headed into Portland yesterday (about an hour drive) to get my hair done at Akemi which uses all cruelty free products. I met my new stylist Bri and she's vegan! Yay! This made up for my morning experience where my massage therapist mentioned having 20 of her chickens 'processed' that weren't laying. Ugh. 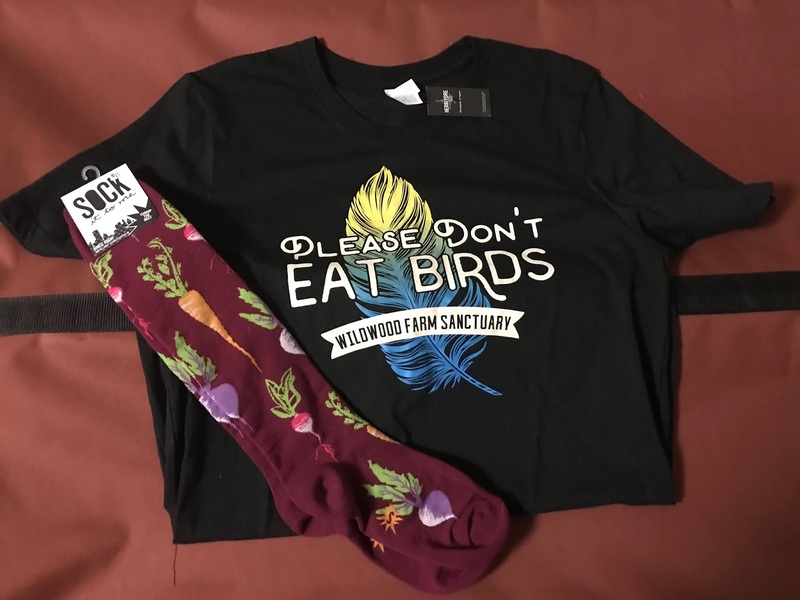 Anyway, before my hair appointment I stopped by The Herbivore Clothing Company (now with shoes) and Food Fight! Grocery at the vegan mini-mall. I like to pop by now and again and leave all my disposable income for them. I've loved Herbivore designs for years after discovering them at an Animal Rights conference in DC. One of the perks of moving to Oregon was shopping in the store instead of ordering online or waiting for them to come to a festival near me. Owners Michelle and Josh have always struck me as authentically good people. And they do a lot for the community. I return the favor by shopping and more shopping. 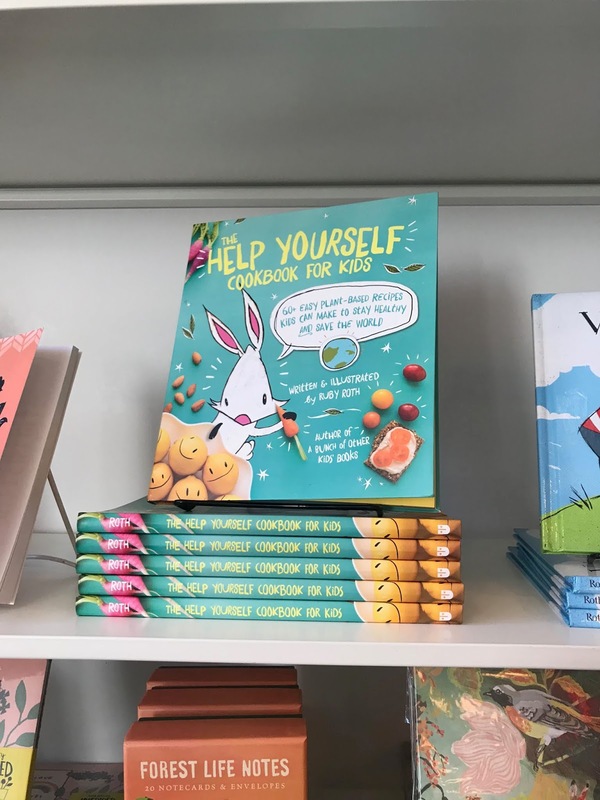 to get veg foods in kid's diets. 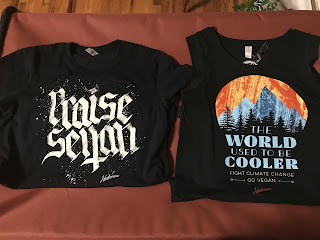 I have so many of Herbivore's shirts, but I had to have this reboot of one of their classic designs - Praise Seitan! And I loved the cut of this 'The world used to be cooler. Fight climate change. Go vegan.' tank top. Yes, they can put all those words on a shirt and make it look good! Probably my new favorite socks! If you're a NW Veg member you get a 10% discount so basically my socks were free. How did I go through my life before without root veggie socks?? Next I popped over to Food Fight! mainly to get some dog treats. 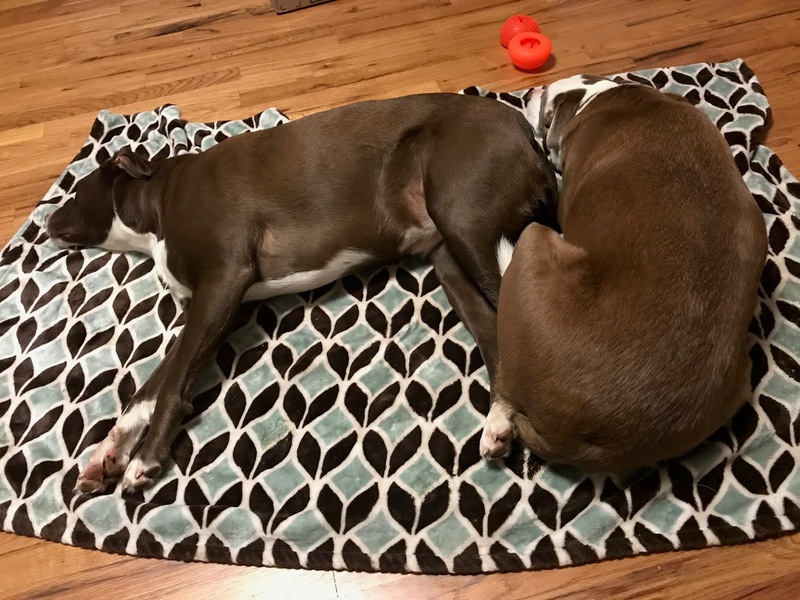 I use their vegan jerky as a high value treat for my girls. So Food Fight! is not where I go to get produce as you can see. They do have a small produce section. But did you see my cart of greens from yesterday's post? I'm covered for now! 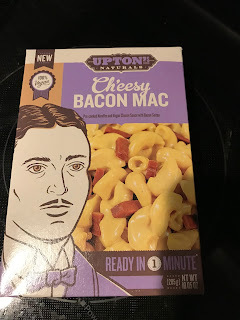 Have you had the Uptons mac? I've been wanting to try it since I saw it in Chicago in March. 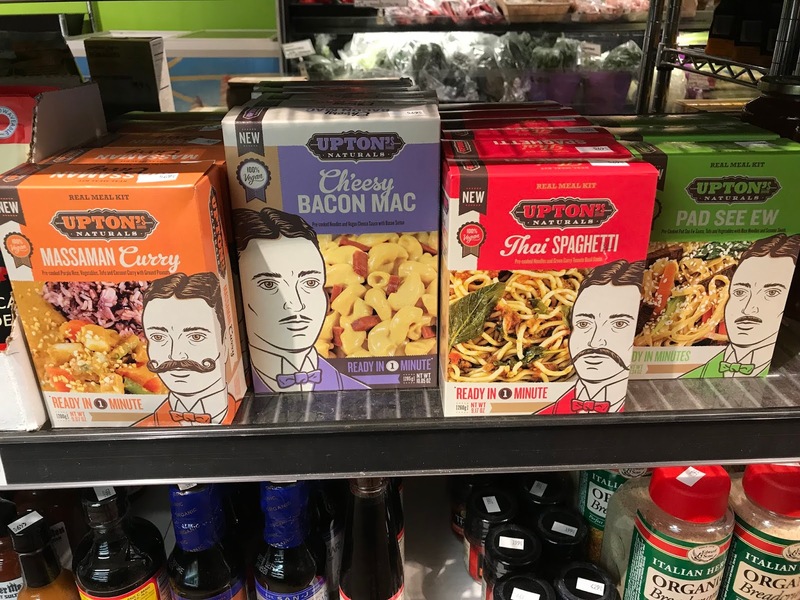 I went to the Uptons factory and ate at their cafe. So yummy! If you like caramels, these Cocomels are a game changer! Food Fight! does a lot to support the local community and each month they feature a nonprofit you can leave a tip for when you pay. Such a great idea! They also do a 10% day for the featured nonprofit. After shopping and getting my hair done, I went out to dinner. For now I'll share this sunset as I dined, but I'll post about dinner another time. Tomorrow it's back to healthy recipe time! Vegan MoFo Day 18 - It's alive! 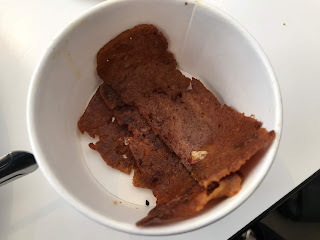 Vegan MoFo Day 12 - What in your fridge? Vegan MoFO Day 8 - Let's get spicy! Be cool. Don't steal others people's work without crediting them. . Simple theme. Theme images by gaffera. Powered by Blogger.